The CTI speed control has built-in presets for popular conveyor ovens. The built-in manual adjusted mode allows this control to be used in any closed loop 90 or 130V DC motor application. We can also create a custom setting for your product. This speed control uses hall sensor feedback to maintain constant speed over varying loads. Burn-out proof circuitry protects control from shorted motors. This speed control will replace the control in Middleby PS ovens. Designed and manufactured by CTI at one of our locations. Call for details. 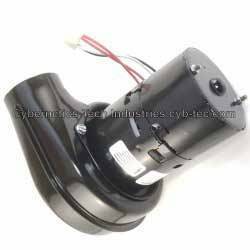 - The original style gear motor has been used in the PS360 since 2002. 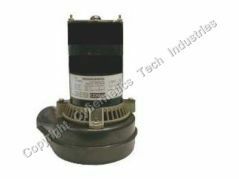 - Replaces the original gear motor found in PS570 ovens. 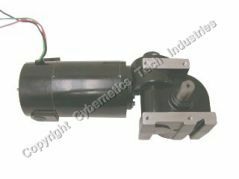 - 1/8HP long life motor - This motor runs circles around the smaller 1/22 HP black motor - Comparing motor torque, horsepower and efficiency curves. Matching motor speed control that exceeds the requirements of the orignial speed control for $69. Speed sensors for many pizza oven applications. Replacement hall effect sensor and optical sensors for ®Middleby, ®Lincoln and ®Blodgett ovens. We design and manufacture all of our speed sensors on site in the USA . 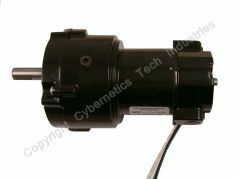 Example shown: Five pieces clamp-on hall sensor feedback for most gear motors. 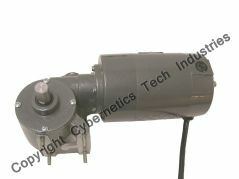 Blower motors from 1/10 HP to 1 HP. American made motor and priced below imports. We can custom design for OEM manufactures and rebuilders. Temperature controls for a variety of food machinery applications. Example: Plug-in replacement temperatiure control (no wiring is necessary ). All controls are from US manufactures, including the controls we manufacture, including our replacement for 47321. 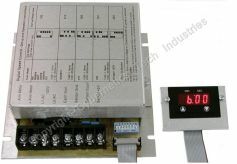 We first developed our time and temperature display back in 1999 and updated it it with a new hardware revision in 2010. Additional software refinements through 2015. This part uses the existing a J type thermocouple (included) to measure temperature, and the existing photo electric sensor to measure motor speed. Plug and play replacement for any Lincoln time-temperature control, with no modifications to oven. Replaces the time/temperature display found in 1000 series pizza ovens built by ®Lincoln . Priced at $225 and includes a 2 year warranty and full installation support from our design Engineer. We still manufacture several types of displays found in older Lincoln ovens. We are the sole manufacturer of several displays. We build many types of probes for a variety of applications. Type J Thermocouples starting at $17. We stock a variety of igniion modules designed for specific applications. 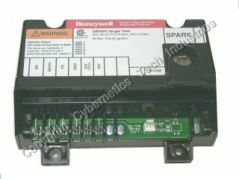 Example shown: New Honeywell S8600H ( H not U ) ignition module. - This ignition module can be found in nearly every ®Middle oven in use. - The most popular module for nearly 25 years. Price: Call - All of our Ignition Blowers are the highest quality USA products and they are always priced below the imports. We stock a large number of belts and can build a wire belt for nearly any application. The ® symbol designates a registered name and trademark of the respective company. Cybernetics Tech Industries does not represent the oven manufacture or its dealers.